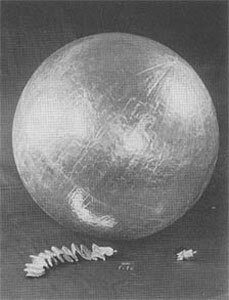 The Vanguard Balloon Subsatellite was a small balloon satellite to measure air-density. It was launched piggy back with the Vanguard 13in Magnetometer satellite. Vanguard Balloon was lost in a launch failure, when the Vanguard launch vehicle second stage was damaged during staging.